Please note that we are not building resophonic guitars at this time. 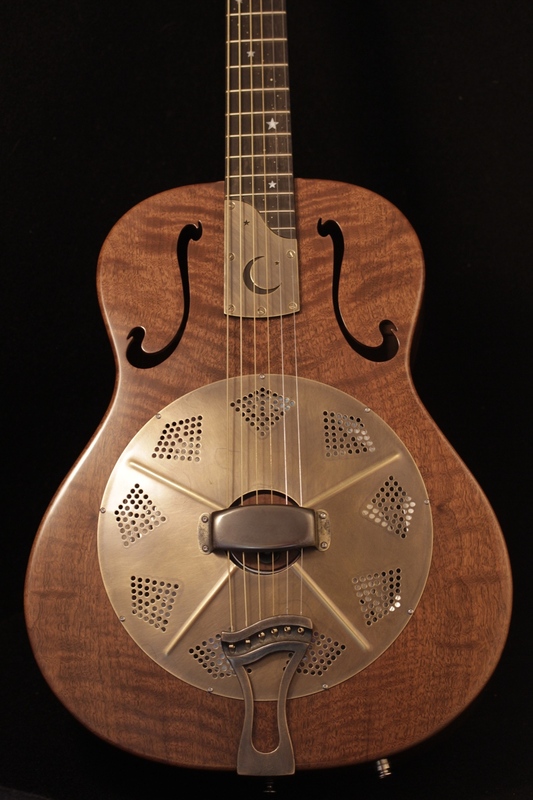 We fell in love with resophonic guitars some years ago. 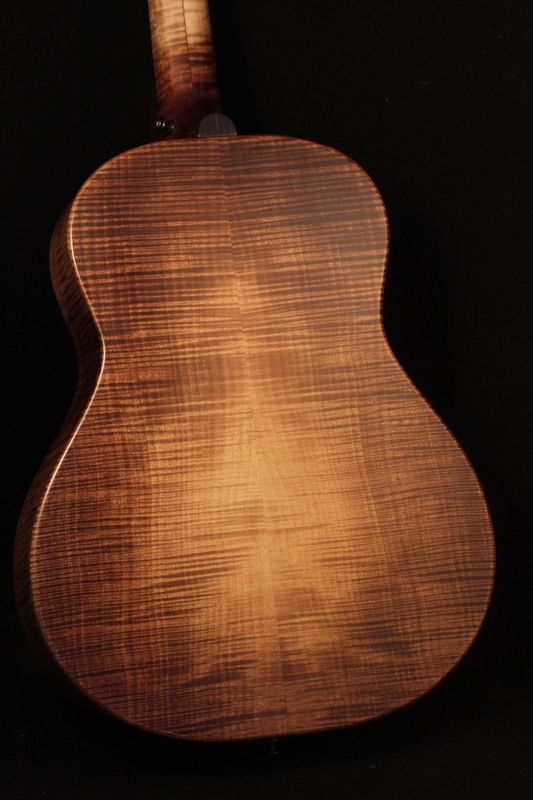 We have a few old and new National guitars and really love how they sound, but wanted to start creating our own guitars with some specific details for what our playing styles and aesthetics were craving – a 14-fret, round neck, wood-bodied, biscuit cone guitar. 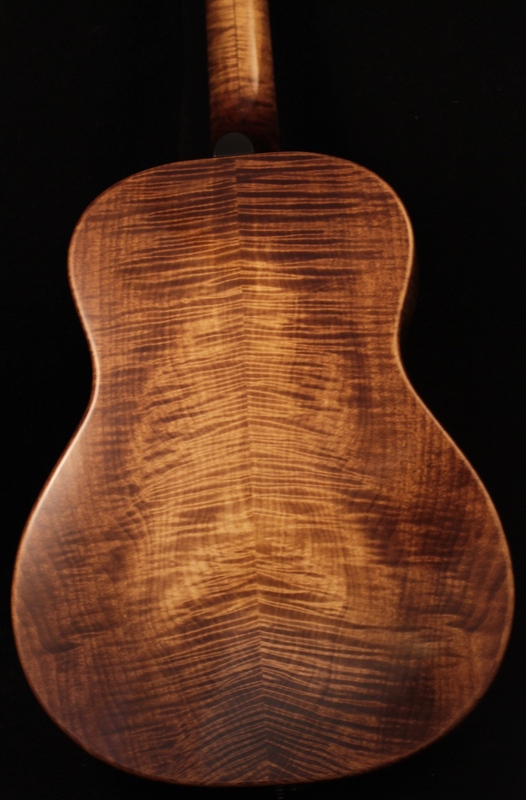 Take a listen to the soundclips of Tony Furtado playing our two guitar models in figured maple and Claro walnut. You can also hear Jason playing a Claro walnut guitar on our record Long Gone Out West Blues. 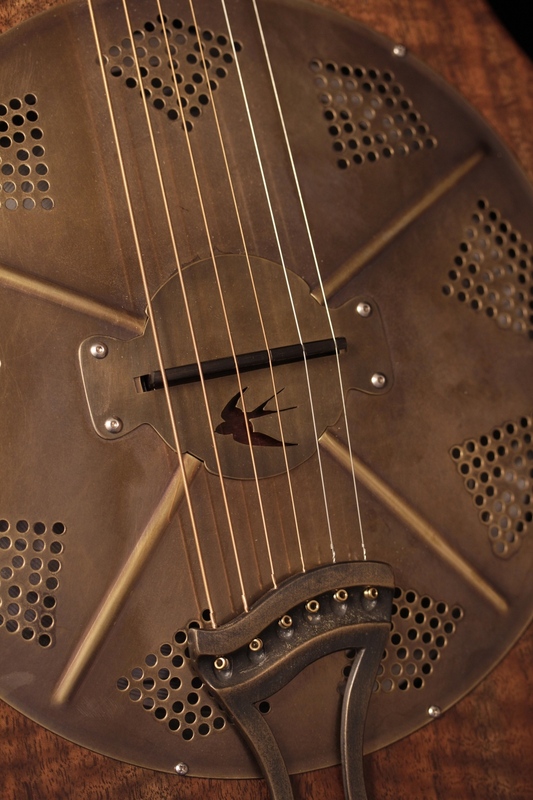 Brass plate inset into fingerboard over the body: Fingerboards are traditionally screwed to the top on these guitars, and rather than hide that construction we have used it as a design feature.